For family keeping up with my ancestry tree search, I have more news to share. 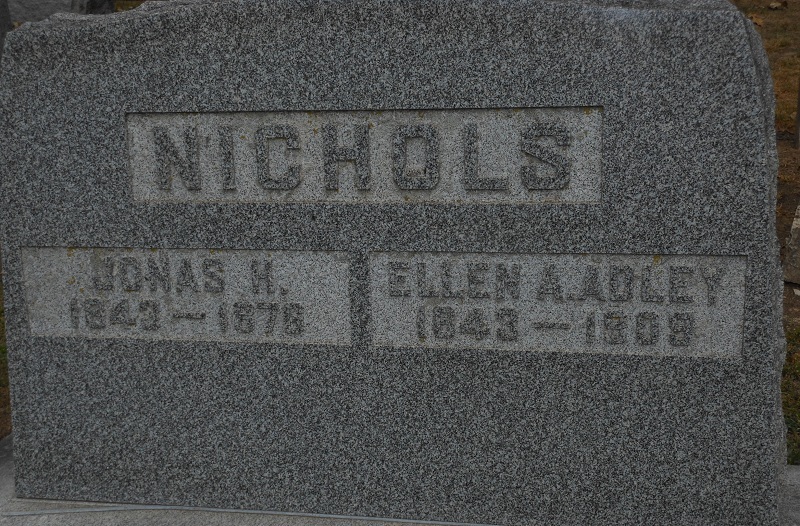 This morning, I found the graves of second great-grandparents Jonas and Ellen Nichols in Janesville Wisconsin. Believe me, it wasn’t easy. I was about to end my searching for the day, and there it was, with photos!! Jonas Nichols was last seen signing up for the Civil War draft registration with brothers (Tom) Thomas Jefferson and Frank (Benjamin Franklin) in Dummer New Hampshire in 1863. 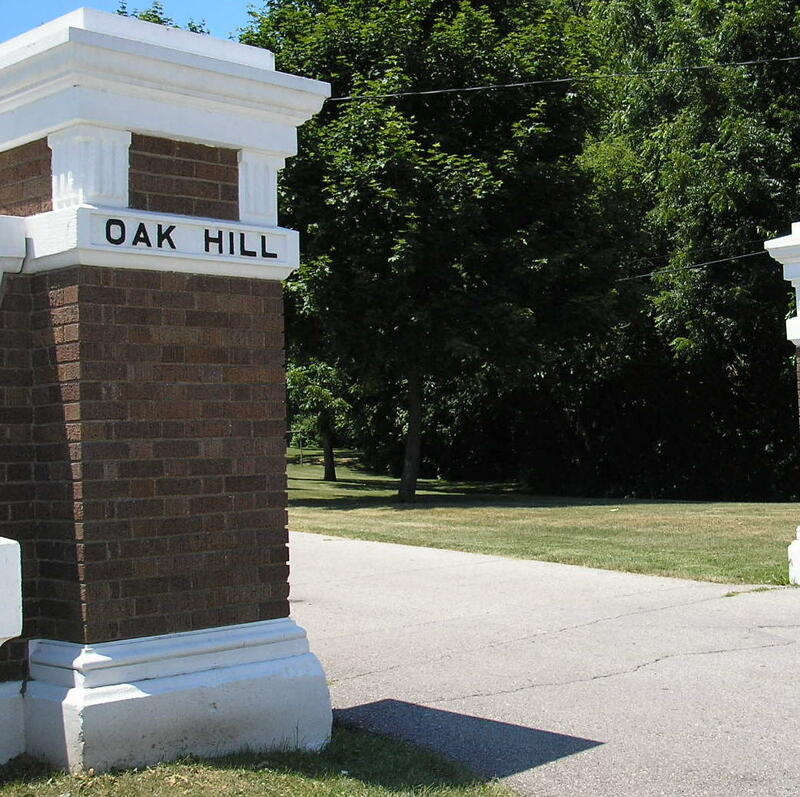 He next appears with wife Ellen in Janesville Wisconsin at the birth of second son Lorenzo in 1868. The question…where was he for almost five years? The answer…I think…is Andersonville. Apparently, at some point he was taken prisoner and incarcerated in the hell hole in Georgia where 13,000 Union prisoners perished. Oh my. I found his record or what remains of it among the hospital records stored at the National Archives. Like many of his fellow inmates he suffered with Scurvy and Dysentery. Not a very appetizing experience, but one that apparently left him so debilitated he died in 1876 at age 34. It was either that or a railroad accident. Jonas, along with his brothers and later their sons and son-in-laws worked for the Chicago and Northwestern railroad. In the graduate history class I took on the Gilded Age, we read Railroaded, by Richard White, a history which tells the tale of how dangerous the American railroad experience was in the eighteenth century. Passengers and crew alike died with alarming frequency until unions formed and the engineers (Brotherhood of Railroad Locomotive Engineers) demanded safer conditions (the Pullman Strike also helped). Grandpa Schmidley was a RLE/AFL member until he died. He served 49 years with the Chicago and Northwestern RR and lived to retire. At different times, he used his lifetime pass to take each grandchild on a RR journey. My turn came in the mid1950s when he and I took the train from Northern Wisconsin to Fond du Lac. I recall eating in the dining car where I ordered chicken noodle soup. It was the most delicious soup I ever tasted. I must have raved about it because once when I was sick, my dad bought a case of the canned chicken noodle soup just for me. For weeks afterward, I came home from school, opened a can of soup as an after school snack, and carried it with me drinking noodles and all, out of the can as I went into the woods behind our house to play. Mom never noticed. She was in her room taken ill with her usual afternoon headache. This entry was posted in Books, Elder Blogger, Family/Children, History/Art History, Memories, Photography, Retirement Living, Travel by SchmidleysScribblins. Bookmark the permalink. You certainly seem to be enjoying the research for the family tree. I love working on mine. Yes, it’s better than some things I could be doing. I shoulda made a dissertation topic. Amazing story, Diane. You are doing a great job of finding these facts. Thanks for this information. I intend to learn more about Andersonville. 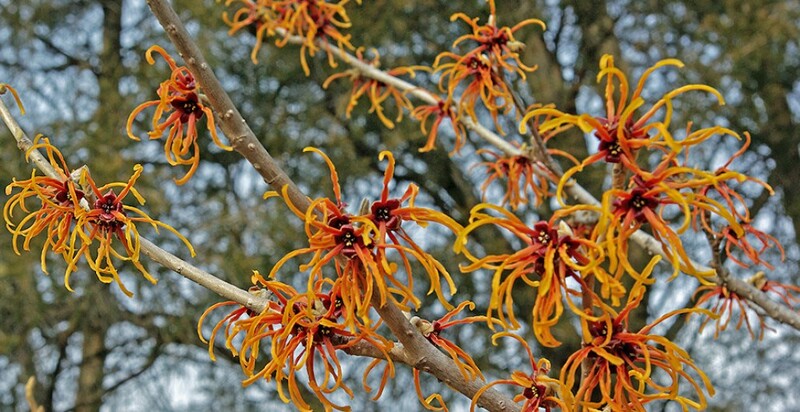 You are taking a wonderful journey along your family tree Dianne. Gregg is getting ready to start ours and I will be joining in. Happy Easter! Thanks and you have a good Easter too! Too bad he died at 34, such a young age. And your mother with a headache every afternoon? What a memory. You do have interesting stories to tell about your ancestors. In the West, the Chinese immigrants were the ones building the railroad tracks. The Koreans came here too late to have anything to do with the railroad. Chinese, Irish, Mexicans and others. There were several transcontinental railroads.